So evidently Holidailies is not going to be on reddit this year after all, but back at the dedicated portal—starting today and running through January 9th—so I don’t have to put a photo in every post to avoid the generic image. Today I do have a photo, though, because I thought I’d share a bit of my nail polish world over here, just like in the old days, long before I had a separate nail blog. This is several of my favorite things to do with nail polish all at one time. It’s layering: a deep deep plum base color plus flakies plus a matte top coat. It’s comparing: the base color is the same on all the nails, but the flakies are from three different. It’s experimenting: matte top coat is not the usual thing I’d do with flakies. Playing with nail polish is a creative outlet for me. It could be argued that since I already had quilting and knitting I didn’t need another one, but neither quilting nor knitting gives the immediate gratification that nail polish does. Sometimes I really need a quick hit of color play, and nail polish gives me that. 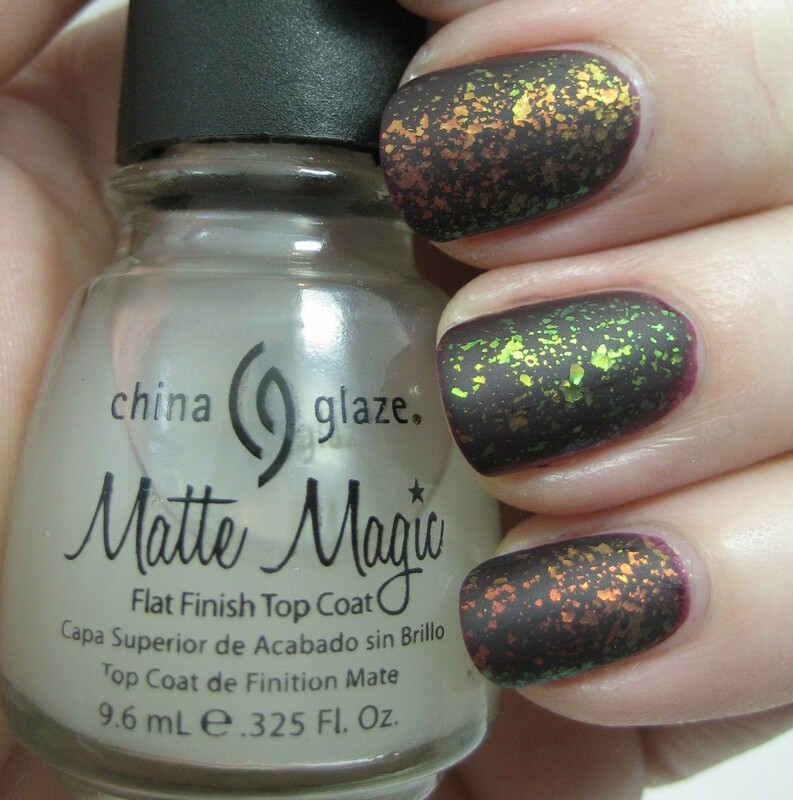 I still have never tried a flakey with matte top coat…really need to change that!